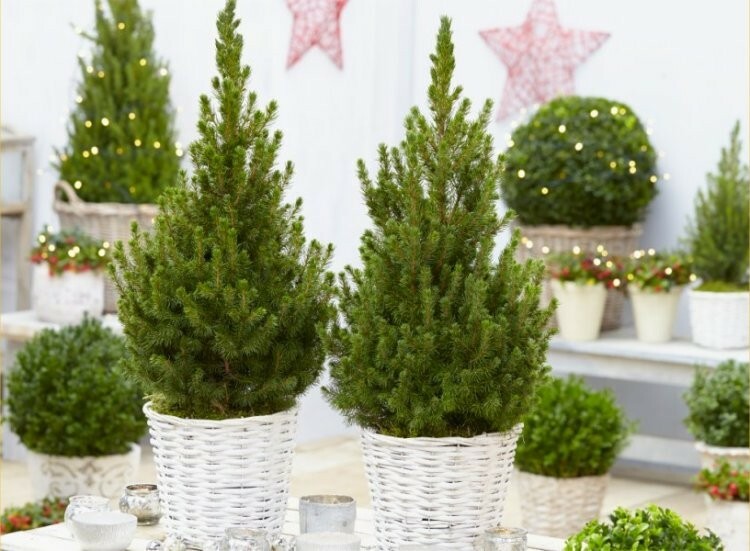 Celebrate for less with Gardening Express!! 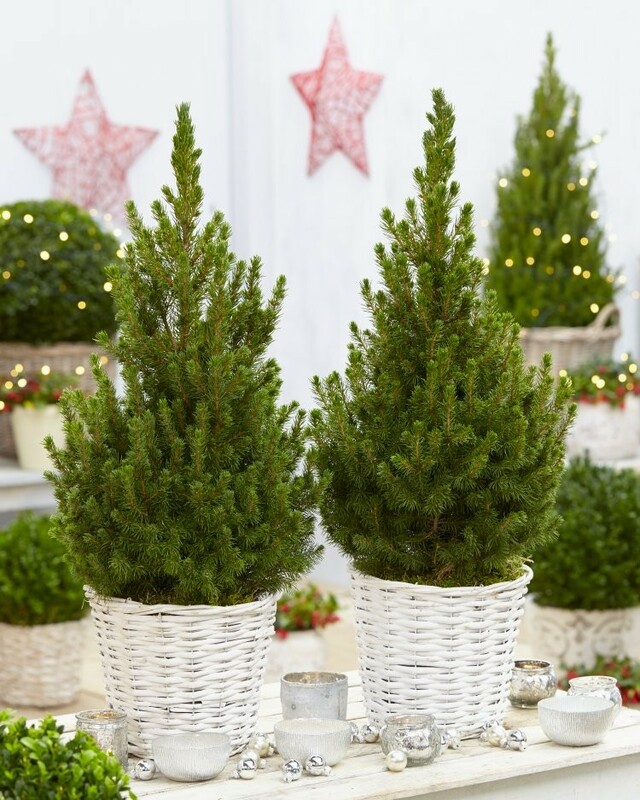 They look especially good paraded in pairs, flanking an entrance or doorway perhaps, to really add that extra festive welcome to your home. 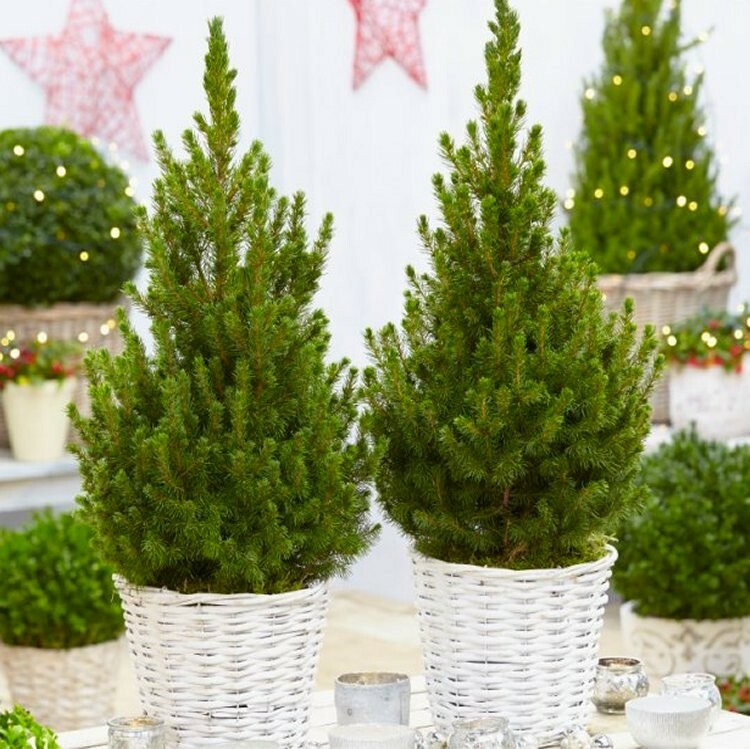 Supplied at around 70-80cms overall, with White Rattan baskets, these trees are also big enough to fit indoors, on a corner table for example, all with that definitive forest fragrance.